Spatial reasoning is an essential skill for math learning and can be acquired through training and practice. Let’s start with learning shapes. 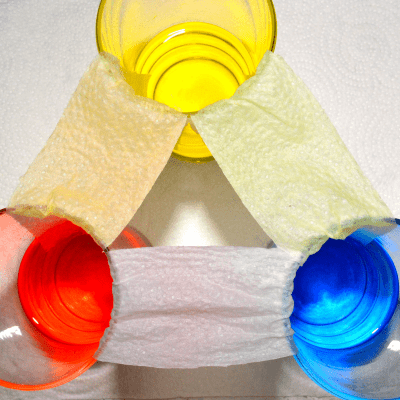 Here are some fun hands-on activities for your toddler to create 2-D and 3-D shapes from scratch. By constructing each shape one side at a time, preschoolers will have a better sense of what constitutes a certain shape. For example, triangle has three sides and they also have 3 corners. Depending on each corner’s size and each side’s length, you get a different type of triangle. My daughter and I experimented with several different materials for the “joints” to see which one is better (or tastier). 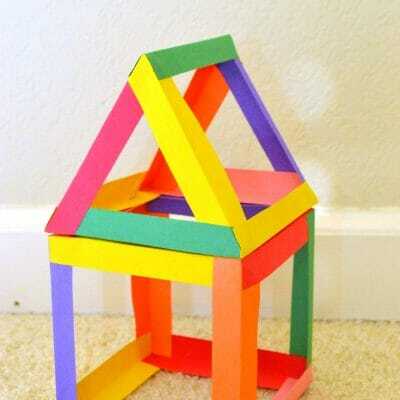 You can start with simple 2-dimensional shapes such as triangle and square. 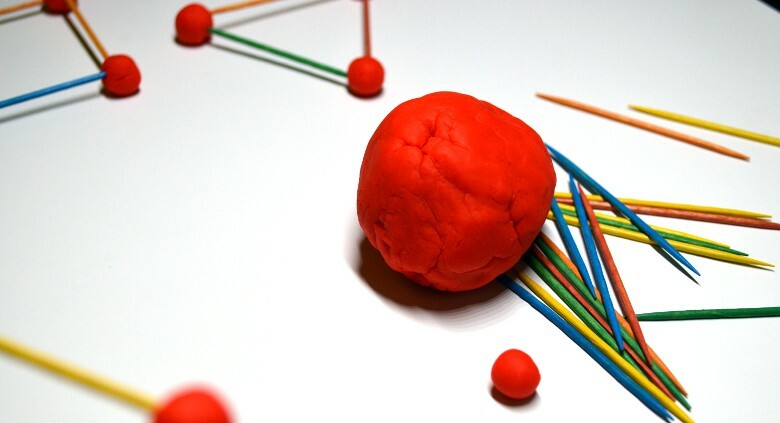 Notice how you can open up a joint, add one toothpick and one playdoh ball and you’ll get another another shape. 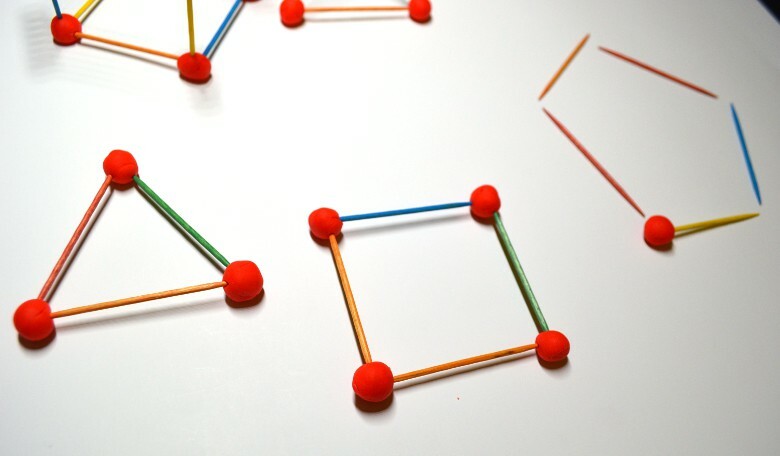 So starting with a triangle, adding one more toothpick gives you a square, then a pentagon, hexagon, heptagon and octagon. If you keep adding, you’ll eventually get a shape that resembles a circle! 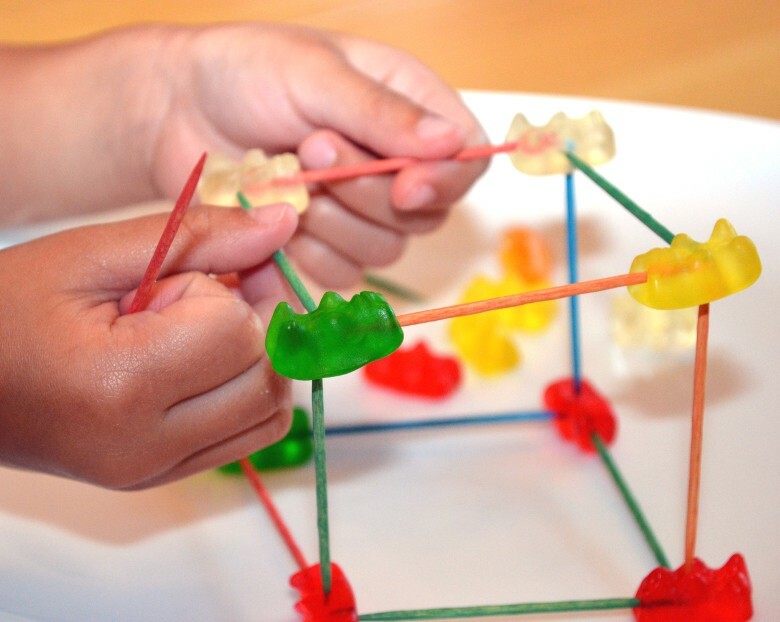 Spatial language has been shown to enhance spatial reasoning. 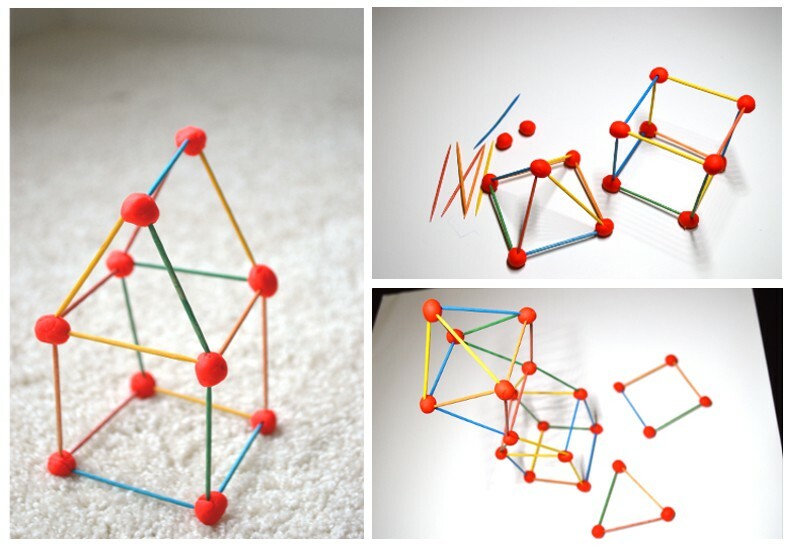 When you start building 3-dimensional structures, you can introduce words such as cube, sphere, prism, etc. 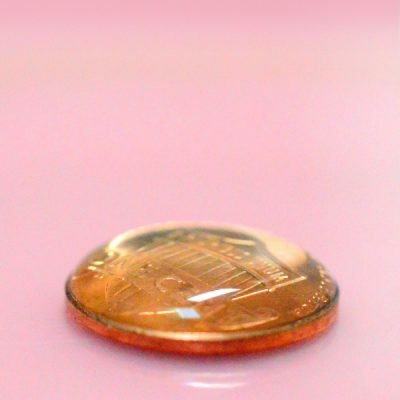 One advantage of constructing 3-D objects this way is that you can see through them, allowing your toddler to practice visualizing 3-D structures. Here comes the edible part of this project. We experimented with different candies and fruits. 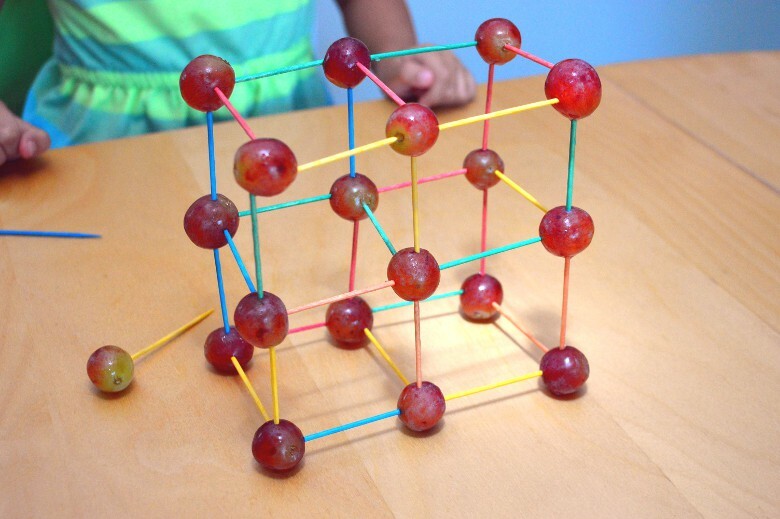 The best results were structures built from Gum Drops, Gummi Bears and grapes. My daughter especially enjoyed this part. 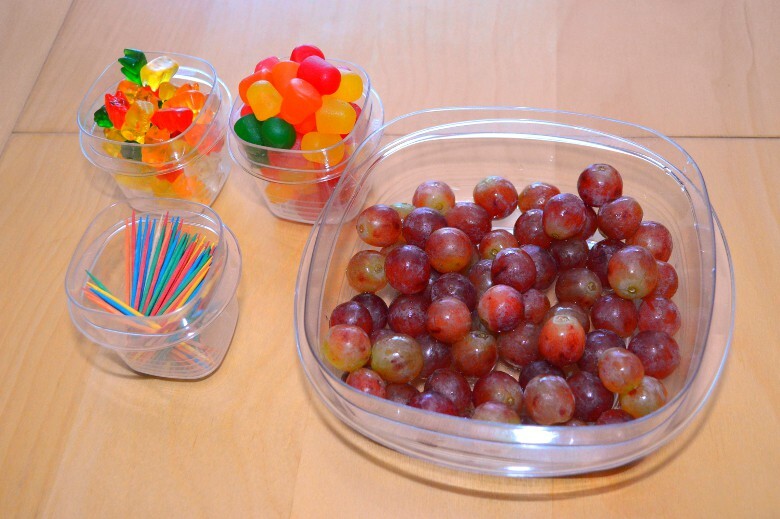 But watch out how much candies your little one eat while working on this (fruit is ok in my opinion). I recommend doing this after a meal so that at least they start with a full stomach. Gum drops are great. They are colorful and can firmly hold toothpicks in place. It was a lot of fun working on this. I prefer gum drops over playdoh because as the playdoh dries, it becomes more and more brittle not suitable for building larger sculpture. 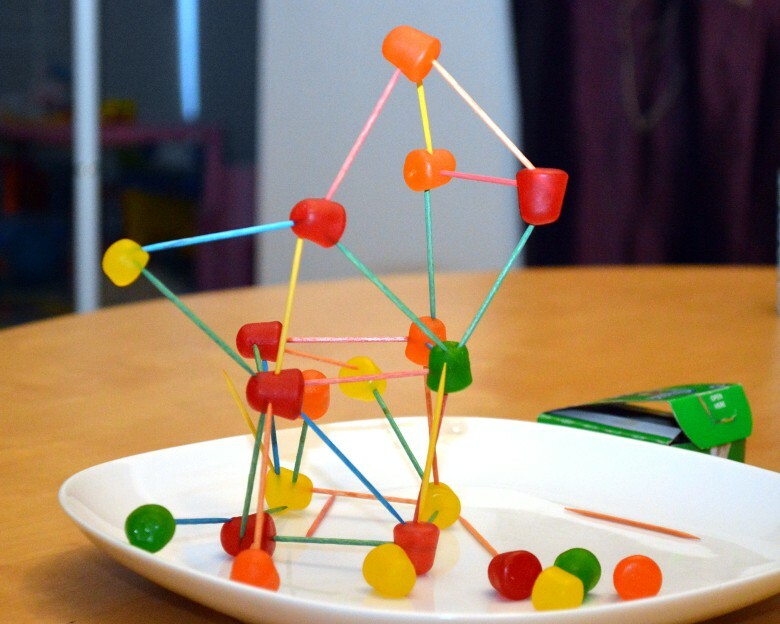 Shapes are not the only thing your toddler can learn in this project. My daughter also automatically started sorting the gummi bears and the toothpicks by color. Sorting and classifying are also skills essential to succeed in kindergarten. 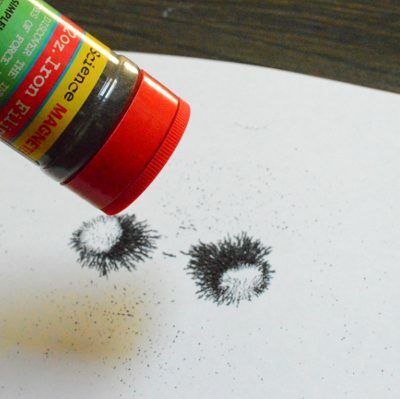 Let’s not forget this activity trains your toddler’s eye-hand coordination and fine motor skill, too. Last but not least, the fruit version was my favorite. Grapes hold up very well in large sculptures. They are healthy and yummy. 🙂 I highly recommend it!